The above sentiment is one that has been repeated often by the Ken Salazar, the Interior Secretary for the Obama regime. It’s not the type of talk Americans are used to hearing from government officials. Of course, this is the Marxist Obama regime we are talking about here. This is a president whose purple-shirted thugs from the SEIU show up en masse to terrorize 14 year old boys at their private home, because they disagree the kid’s father! 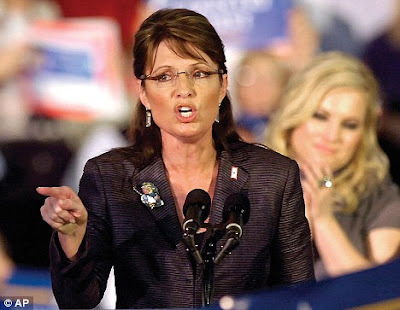 As we wrote earlier, Sarah Palin has focused in on the Gulf oil spill like a laser. She is actively questioning what is going on and why Obama was so slow to respond to this disaster. Being the thugs they are, rather than address these issues, the regime attacks the messenger. The Obama regime’s Minister of Propaganda, spokesclown Robert Gibbs, came out babbling that Sarah should “get slightly more informed as to what’s going on in and around oil drilling in this country.” I hate to tell this nimrod, but Sarah Palin has forgotten more about the oil and natural gas business than anyone in the Obama regime will ever know. Since this the route they are going, Sarah has just put her very stylish boot on the neck of the Obama regime. Mr. Gibbs’ comments were in response to something I said last weekend in an interview on “Fox News Sunday.” In the course of discussing the administration’s failure to get to grips with the oil spill, I pointed out that the media was rather silent on asking if there was a connection between the White House’s hands-off response to the spill and the undisputed fact that Barack Obama was BP’s top recipient of both PAC and individual money for the last 20 years. Please note that I never claimed there was a conspiratorial connection; rather, I was saying that it’s odd that so few in the media have asked that question. In fact, I believe Major Garrett is one of the few reporters to pursue the issue. You can be sure that if this were a Republican administration, at the very least the media would be asking that question nonstop. As for getting “informed” about oil drilling: I’m confident that in the course of my chairmanship of the Alaska Oil and Gas Conservation Commission (AOGCC) and the U.S.’s Interstate Oil and Gas Compact Commission (IOGCC), and my work as governor of our nation’s huge oil producing state, I’ve learned enough to be able to say with some certainty that the White House’s response to this crisis leaves something to be desired. I also believe that the White House should spend all of its time finding solutions to the enormous oil gush problem. The Obama administration claims that it “will not rest until we get this situation under control,” but in practice it’s evident that it must do more to stop a potential environmental disaster from happening. U.S. Coast Guard Commandant Thad Allen probably summed it up best when he described the Obama Administration’s approach to this crisis as “keeping a close watch” while BP is tackling the problem – at the company’s own pace. While the Administration watches from the sidelines, the Gulf Coast states face some potential disaster. This raises serious questions. Should it really take nine whole days before the Administration asked the Department of Defense for help in deploying equipment needed for the extreme depth spill site? Why is Governor Jindal still waiting, 35 days later, for material needed to tackle the oil spill to protect the coast’s environment and for federal approval to build offshore sand barriers to protect his state’s coast line? Is it correct that the Coast Guard was initially unwilling to burn off the oil for fear of causing air pollution (which would have been far less harmful than the current water pollution)? These questions all require answers. In the meantime, let me make a constructive suggestion to help the White House out of its current impasse. They should reach out to the best oil and gas team in the nation and tap into its expertise. I know just the team: Alaska’s Department of Natural Resources, led by Commissioner Tom Irwin. Having worked with Tom and his DNR team as Governor, I can vouch for their expertise and their integrity in dealing with Big Oil and overseeing its developments. This team’s (and Alaska’s PSIO team’s) expertise on oil spill issues is particularly relevant. We all lived and worked through the Exxon oil spill, and we all committed to the principle that this would never happen again in Alaska’s waters, at least not on our watch. That’s why we created the Petroleum Systems Integrity Office (PSIO) when we saw proof of improper maintenance of oil infrastructure in our state. And that’s why we instituted new oversight and held BP and other oil companies financially accountable for poor maintenance practices. And that’s why we cracked down on unethical and unsound practices by oil companies and their contractors that operate in Alaska. And that’s why I filed a Friend-of-the-Court brief against Exxon’s interests for its decades-old responsibility to compensate victims adversely affected by the Exxon-Valdez oil spill. None of these actions made us popular with oil company management. (In fact, Commissioner Irwin received a message from a North Slope oil company employee that summed up their view of our efforts well: the message told him to “go to hell, but resign first.”) Our relationship with Big Oil may have been perceived as contentious because we always put the interests of Alaskans first. The White House could do worse than emulate what Alaska did over the years. No, it doesn’t make you popular with Big Oil (my commissioners and I certainly learned that! ), and you may see fewer campaign contributions flow your way – but so what? Dealing with the impacts of 35 days of uncontrolled oil flow into pristine waters is more than enough time for the White House to realize they need to tap into expertise, hold BP accountable, and not waste time politicking around such a grave situation. Taking a tough stand to protect our environment while domestically drilling for much-needed energy sources is the only way the public can trust government and industry to safely work towards energy independence. We need to “Drill, baby, drill” responsibly, safely, and ethically. That’s the way Alaska’s DNR accomplishes its mission in America’s 49th state. The ball is now in the Obama regime’s court. 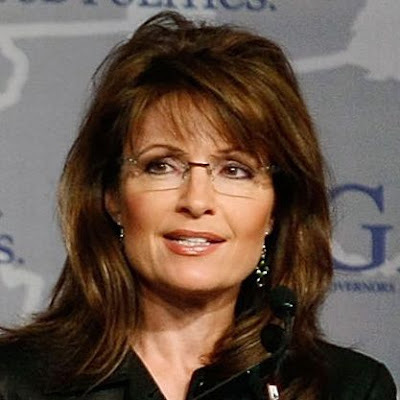 Sarah Palin helped establish what is the world’s gold standard for governmental oversight of the oil business. Obama would be a fool not to take advantage of the offer by the best team in the business. Sarah is right to ask questions. The Obama regime, along with the Marxist-democrat controlled Congress is the most corrupt in our nation’s history. Barack Obama and his group are actively working to extort tens of trillions of dollars from businesses and individuals worldwide, through a scheme of “carbon credit trading.” Obama being the one who secured funding for the creation of the Chicago Climate Exchange, that is now owned in part, by fellow Crime Inc. member Al Gore, and their buddies from Goldman Sachs. We also know the Marxists have hijacked the so-called “green” movement as a method for wealth re-distribution on a scale that would make even Marx and Lenin blush. If you notice, the radical left are already using this oil spill disaster as an excuse to halt all American oil exploration, and further make us subservient to other nations for our much needed energy. It is in the interest of the radical Marxists that this disaster be of the worst magnitude possible. Obama’s nine day delay before even addressing this mess is certainly consistent with serving the interests of the radical left. Of course, with Obama, one must follow the money. As Sarah points out, Obama received more money from BP than any other politician in twenty years. But British Petroleum’s money is chump change. Obama’s puppet master, and former Nazi collaborator, George Soros, plays a significant part here. Everyone remembers that last year Barack Obama loaned Brazil $15 billion of taxpayer money so oil giant Petrobas can do more off shore drilling. Just three days before Obama made this generous gift of our money, good old George Soros bought controlling interest in Petrobas. It is now his largest holding. It’s not hard to figure out that banning offshore drilling, as Obama and the radical Marxists want to do, would greatly benefit Soros, who once claimed ownership of the democrat party. Soros funds literally hundreds of left wing groups, all supporting the most radical of views. If you are not familiar with the pure evil that is George Soros, you can get a good look at what we are dealing with here. Soros is tied to Barack Obama at the hip. He counts on Obama to do his bidding. He too is part of Crime Inc, and the criminal activity Obama, Al Gore, elements of Goldman Sachs, and others are involved in. You can read more about Crime Inc. here and here. We know corruption is involved in all of this, it’s the Chicago way. We also know there is massive incompetence too, because that’s the government way. Obama is a fascinating figure to me. He comes off as incredibly incompetent, and can barely speak in coherent sentences, unless he’s reading other people’s words off of the teleprompter. His inability to get control of this issue is quite telling. And yet, Obama was devious enough to be a principle in Crime Inc., one of the architects of the Chicago Climate Exchange, and the carbon credit trading scheme. Obama has also set himself up to become incredibly wealthy, wealthy beyond all imagination, if he can cram legislation down America’s throat that will force this carbon trading scheme on us all. If their plans succeed, the entire world, not just BP, will feel the Obama regime’s boot on their neck. Thank God Sarah Palin has the guts to take these thugs on!